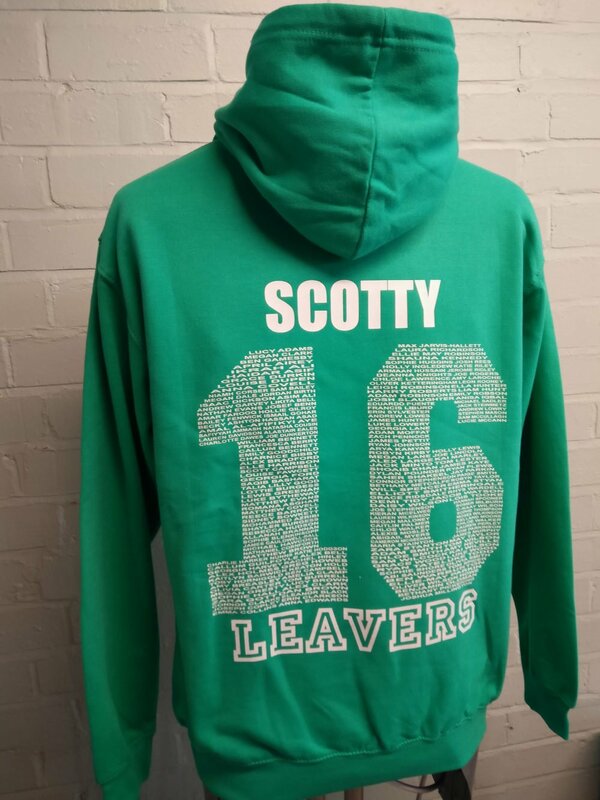 Conyers School in Stockton-on-Tees in Yarm is both a secondary school and a sixth form, which means that there are two occasions where students might need a leavers hoodie! Conyers School was founded in 1950. In 2013 it became an Academy Trust and then later on in 2016, it became a Multi Academy Trust, which consists of Conyers Secondary School and Sixth Form and another local primary school. 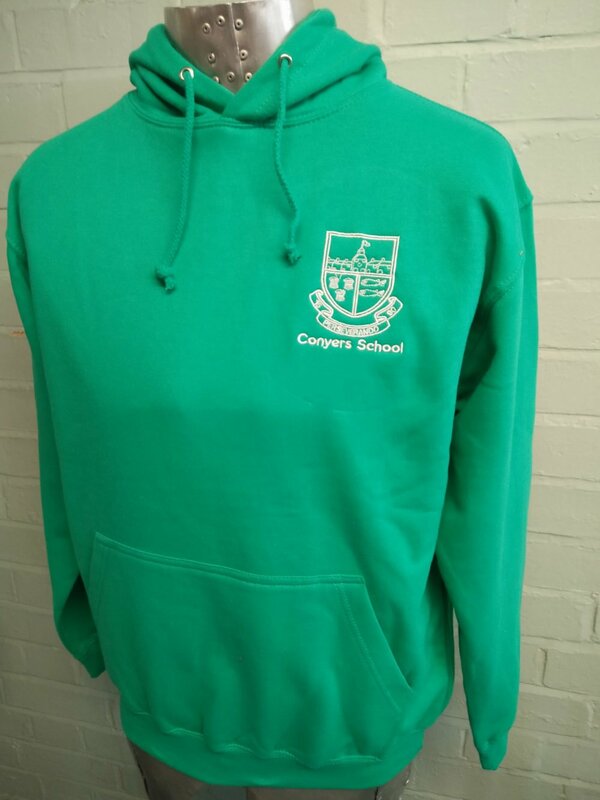 This green leavers hoodie was created for Conyers School’s class of 2016 students. 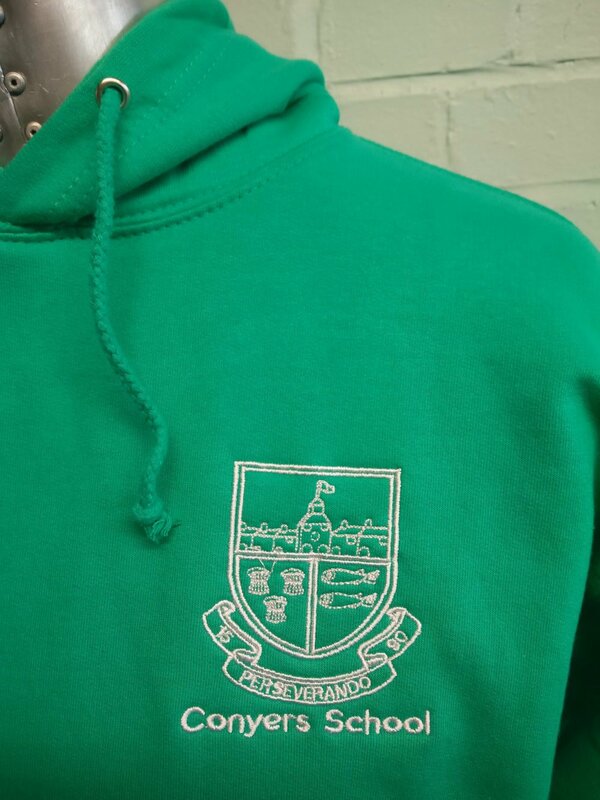 It features an embroidered logo and is uniquely personalised with the names of fellow classmates who were also leavers in 2016. 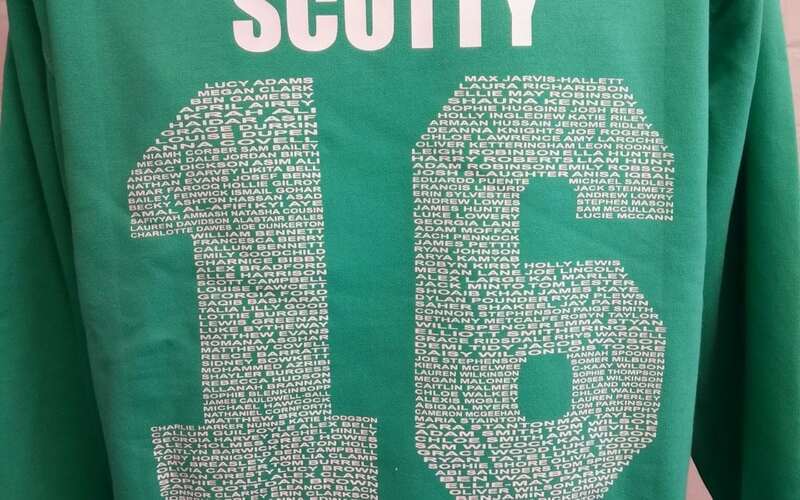 Student’s individual names are then printed in white, so that the hoodie is personalised specifically to each student, who can keep wearing the hoodie long after they have left the school.